Season premiere: After a twisted plan left the life of his girlfriend Elena linked to that of his best friend Bonnie (Kat Graham), Damon (Ian Somerhalder) is forced to navigate his new reality without the love of his life. A newly empowered Bonnie has decided that she will be Damon’s moral compass and keeps a close eye on him as he, in turn, cautiously keeps tabs on Alaric (Matt Davis), following the loss of his fiancée Jo. Meanwhile, as he waits for Caroline (Candice King) to sort out her emotions, Stefan (Paul Wesley) takes an active role in protecting the town from Lily (guest star Annie Wersching) and her family of Heretics, who have wasted no time wreaking havoc in Mystic Falls. Elsewhere, Enzo (Michael Malarkey) struggles to find his place in Lily’s new life, and is quickly forced to decide where his true loyalties lie. Finally, with the stakes higher than ever, Matt (Zach Roerig), who has recently completed his deputy training program, teams up with Stefan and Caroline to put a stop to the Heretics, but an unexpected turn of events leaves one of them in a dangerous position. 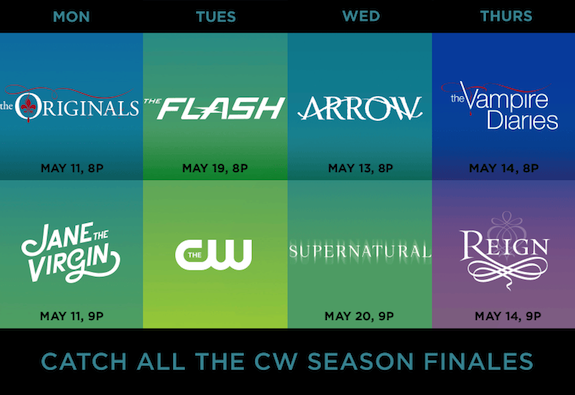 Comments Off on Comic-Con 2015: Check Out the Official Bags, Featuring ARROW, THE FLASH, SUPERNATURAL, and More! 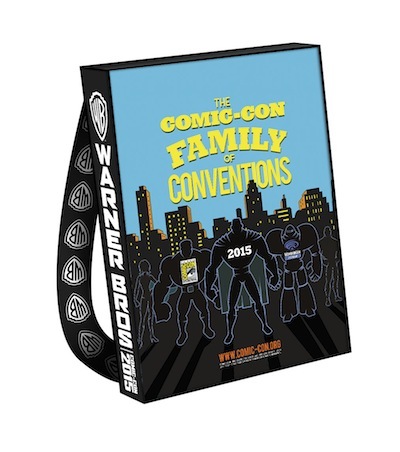 Warner Bros. is once again taking over the official Comic-Con bags, and this year the studio is showcasing ARROW, THE FLASH, SUPERNATURAL, THE VAMPIRE DIARIES, LUCIFER, GOTHAM, THE 100, VIXEN, TEEN TITANS GO!, and BATMAN UNLIMITED. Which bag are you going to try and snag? The holidays on THE VAMPIRE DIARIES will be a little bit different for the residents of Mystic Falls this year since the town is now protected from allowing anyone with supernatural abilities inside. So to fill a bit of that void, Caroline and Elena are hosting a Friendsgiving celebration at their dorm in tonight’s new episode — a nice break from the stress and trauma the friends are used to. It’s Thanksgiving time on THE VAMPIRE DIARIES, and as Caroline and Elena host a Friendsgiving at their dorm, Damon, Stefan, and Alaric go on a road trip to do some investigating into the Gemini Coven (with the hopes it will lead them to some clues about Bonnie). And back in the 1994 world, Kai is not happy that Bonnie was able to get rid of her powers, seemingly trapping them there forever. 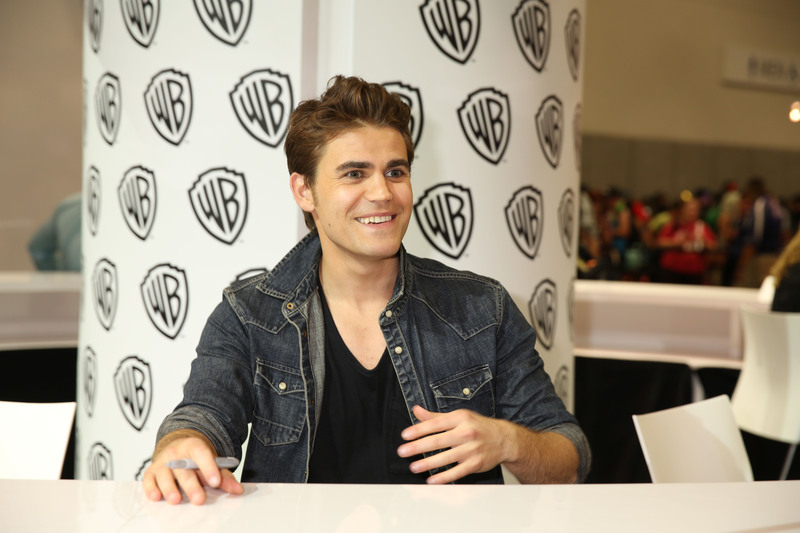 THE VAMPIRE DIARIES cast and producers hit up Comic-Con on Saturday to participate in a panel for the series, as well as a fan signing. The second wave of TEEN CHOICE AWARDS nominations have been announced, and shows like GLEE, THE VAMPIRE DIARIES, SLEEPY HOLLOW, and SO YOU THINK YOU CAN DANCE are among the latest to garner nominations.